The Junior League of Memphis has been involved with Camp Good Grief for many years and we’re excited to participate again. Volunteers assist The Baptist / Kemmons-Wilson Center for Good Grief in completing prep work before camp, undergo grief training prior to camp, and then attend a three-day summer camp in June 2019 to assist children who are grieving the loss of a parent, sibling or other loved one. Volunteers meet in the Binghampton community at Carpenter Art Garden to planning and executive service projects with the kids. Project examples from this past year include pencil bouquets for teachers, making fleece blankets for the homeless, and goody bags and cards for the local firemen and policemen. Each month, the children have also interacted in some way with the beneficiaries of their projects. These projects promotes the kids creativity while instilling in them the goodness and power of giving back to their neighborhood. In this outdoor, hands-on program, volunteers assist in the completion of a home build during the Fall. In the Spring, volunteers will work amongst their Junior League of Memphis team to work on yards, build wheelchair ramps and revitalize homes as needed. After completing tax preparation training, Junior League of Memphis volunteers sit alongside Impact America staff members and other volunteers to help families file their tax returns. This service is free, allowing the participants to save hundreds of dollars that would have otherwise been spent on tax preparation fees. 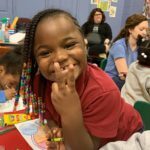 Volunteers plan fun activities and educational demonstrations to assist young girls, ages 2nd to 5th grade, in the Highland Heights neighborhood and surrounding areas. The goal of our volunteers is to provide a positive influence on these young women in a safe and fun environment. Volunteers work as a team, alongside members of the community to expand community gardens. Members plant, harvest, and assemble raised beds, greenhouses, & compost tumblers in various community gardens around the city. Volunteers will empower and educate adult refugees by teaching English as a second language, pre-GED classes, as well as basic math and citizenship preparedness. For adult refugees, learning English is one of the most important steps they must take upon arriving in the U.S. Junior League volunteers work in small groups and directly interact with the refugees while helping with the provided ESL curriculum. 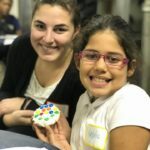 This program serves as a full-circle movement for the Junior League, as the League was originally founded with the idea of improving conditions for immigrants arriving in New York City in the early 1900s. Volunteers will work with a group of sophomore/junior students enrolled in the REACH Memphis Scholars to either help prepare sophomores for their 1st “summer experience” or in the college prep group mentoring programs for juniors after they have completed their summer experience. Topics will be driven by the group of Junior League of Memphis mentors and will include topics such as essay writing, tips on traveling alone, cultural diversity, budgeting, living with a roommate, summer program expectations, time management, social activities or other activities as agreed upon by the group. The JLM sets aside funds for grants to nonprofit organizations that are deemed to have a significant positive impact on the community but would not meet the requirements to be one of our community programs. Click here for more info or to apply. Volunteers organize weekly events for parents and children from the Binghampton neighborhood then serve a meal to the whole family. Planning includes programming for parents and 3 different ages of children/teens. An example of a G.R.O.W. Binghampton night might include an education session on financial literacy for parents, Kids in the Kitchen teaching teens to make a healthy meal, a paint class for 6-12 year olds, and a book with a craft for younger children. Some events are “family nights” which allow participants a community experiences such as performances from Ballet Memphis or STAX Academy Music Program. Volunteers will partner with the Pre-K and Kindergarten teachers at Brewster Elementary School to choose books that go along with their current curriculum. JLM Volunteers read to students then work one-on-one with the students to bring the book to life with a craft. This impact from a JLM mentor prepare these young students for kindergarten and beyond. Volunteers will plan then host biweekly events where kids of all ages engage in fun, educational, age-appropriate activities, while their parents attend an educational program. Some events are “family nights” which allow all participants to have a community experience such as a hip-hop dance class or a performance from the STAX Academy Music Program. Following the programming part of the evening, volunteers will assist with serving a meal to the attendees. This committee is tasked with planning, organizing and facilitating 4-6 impactful community events in our three target neighborhoods: Binghampton, Berclair, & Highland Heights. They work as a team to provide fun and creative entertainment for families as well as reaching out to community leaders in these neighborhoods to determine how we can best serve the residents. This committee partners with both JLM and non-JLM community programs to plan curriculum and bring nutrition education to children. Volunteers allow local children to experience healthy snack/meal options in an interactive fashion. Examples of programing include assisting with the Culinary Medicine program at Church Health, teaching teens at G.R.O.W. to make healthy meals, or interacting with children at MAM to expose them to unique fruits & vegetables. Volunteers lend a hand in the community with any extra help needs for special events such as silent auctions, 5K runs, benefits, and non-profit events. 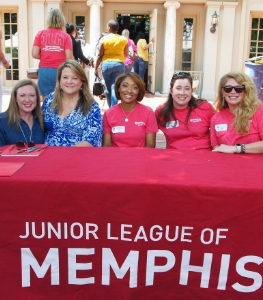 Volunteers demonstrate the Junior League of Memphis’ commitment to the community and act as the face for the Junior League of Memphis through numerous evening and weekend volunteer opportunities. 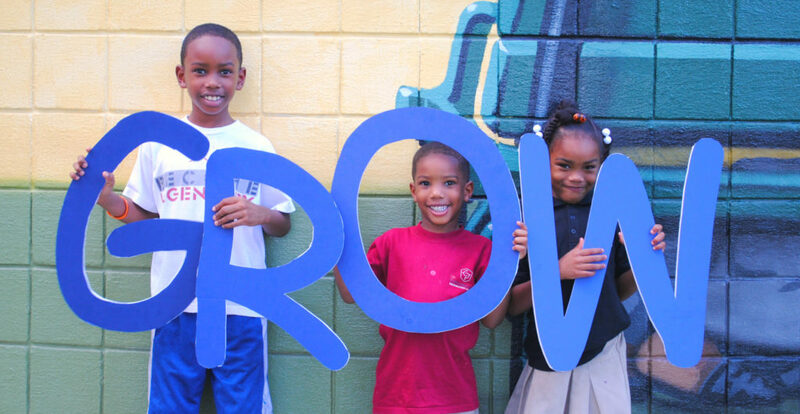 This placement is very flexible and allows one to participate with a variety of non-profit organizations in Memphis. Are you in need of Extra Hands? Click here for more info or to apply. Through the Innovative Teaching Grants application, teachers apply for grants from the Junior League of Memphis, which will enable them to implement original and creative learning experiences beyond the basic curriculum in school budgets. This volunteer team updates the application as needed, reviews applications, selects the teacher recipients, and tracks how funds are used in the classroom. Click here for more info or to apply. 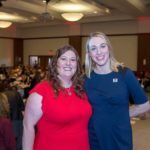 Volunteers on the Scholarship Committee serve as mentors throughout the school year for previous year JLM scholarship recipients. These mentees are female, first-generation college students attending a local college. Volunteers will meet with recipients both as a group and one-on-one for regular mentoring. In the spring, JLM members select 3 high school senior scholarship recipients by advertising & promoting the application to current high school students, collecting applications, and reviewing applications with JLM leadership. Stay tuned for next year’s scholarship application. This is a “1 woman committee” who coordinates the TAPA community effort for the Junior League’s role in the “Day on the Hill”. The This position communicates with the Board of Directors on any issues coming before the School Board, City Council, County Commission, State Legislature, etc. which will affect the Junior League of Memphis.